One of the ever-present challenges of owning a small business is always looking for new ways to attract customers. In the early stages of starting a business, finding your core group of loyal customers can take time and considerable effort. After you identify your target market, you then need to figure out the best and most cost-effective ways to reach them. 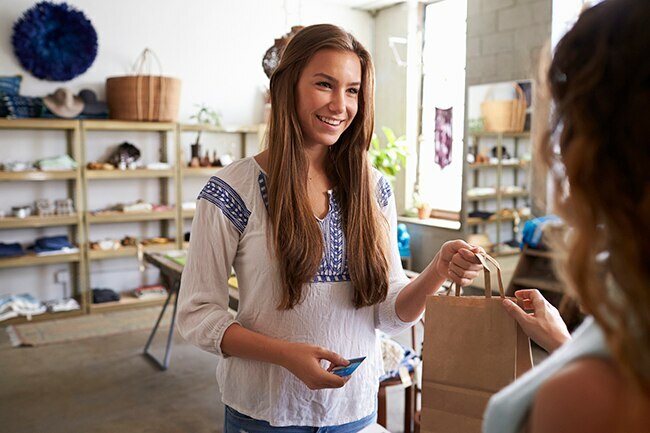 Here are five tips for attracting new customers to your small business. When people find your business, whether it’s by word-of-mouth or on social media, you have only seconds to quickly introduce them to your brand and show them why they can’t live without your product and/or service. The easiest way to do this is perfect your branding. What is your brand all about? Make sure that your website, logo and social channels clearly showcase your identity and create a seamless experience for users. The world is a crowded place and one thing businesses need to do now, more than ever, is provide value to customers. Take the time to decide how you can offer value to your potential customers. Whether it’s a sale or discounted price, an exclusive product range or unrivalled service, you need to give your customers a reason to pick your business over your competitors. By offering great value, you’ll also increase your chances of gaining repeat customers and referrals. One of the first things to do when you’re looking to attract new customers, is check out the competition. Do you have direct competitors? If so, what are they doing? Is there anything they’re doing better than you? Always look for ways to improve, and how you can set your business apart from the crowd. Take a look at other successful businesses who are not directly in your niche and look for ideas or ways to improve or grow your business. One tried and true method of attracting new customers is marketing and promotion. Before you turn to social media or the local newspaper for a marketing campaign, think about who your ideal customer is and where you can find them. Businesses are no longer limited to mass market campaigns but can create campaigns in all shapes and sizes. If you want to start a social media campaign, think about which platform/s is best. Partner up with influencers or other brands to help give your campaign a leg up. Creating a buzz about your business isn’t always easy, but it is possible. Once you have clear branding, a valuable product or service, a strong understanding of the competition and your target market, it’s time to get moving. The final step? Decide what your message will be. What do you want your promotion or marketing efforts to say? Do you simply want to create a branding piece to get your name out there or are you looking to draw new audiences in via a new deal or promotion. A clear and concise message will ensure you can determine the measurable impact of your campaign.